It's incredibly annoying when you want to leave or enter your garage and find yourself unable to do so. The problem becomes all the more frustrating when you're in a hurry to get to work, or are exhausted after a long day. Because this mechanism consists of all sorts of moving parts, and a lot of tension is involved in its operation, it's important that you only allow a trained professional to fix the problem, and avoid attempting to handle it yourself. Even something that may seem relatively simple like replacing worn rollers or repairing bent tracks can have a knock-on effect that will cause other problems if it isn't addressed properly and timely. Out of the myriad of possible issues that can inflict your system, a broken garage door spring is certainly one of the more common ones. This device is what the door relies on to support and counterbalance its weight, and therefore when it breaks, the entire mechanism can be rendered inoperable as a result. Because this type of unit is under a lot of tension, expert skill and experience are required to repair or replace it. Make sure to leave this sort of task to our professional technicians, who can complete it not only quickly, but safely as well. In this type of scenario, the problem often involves the motor unit. Your electric garage door opener is what powers and automates the mechanism, but due to the fact that it consists of both electrical and mechanical components, it is liable to suffer from a whole slew of issues. Whether it stops working suddenly due to a problem with the logic board, or starts making ugly grinding sounds because of some broken gears or an issue with chain or screw drive, you can count on getting an effective and affordable solution from our team. 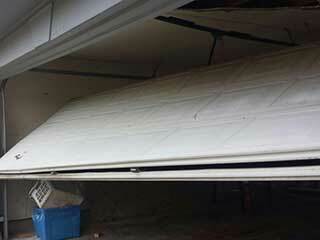 Don't get dissertated when you encounter a problem with your garage door. While it can be annoying and even infuriating, just get in touch with our team here at Gate Repair Encinitas and let our experts work their magic. Our local technicians will quickly sort everything out for you.